Want to improve your property appeal? 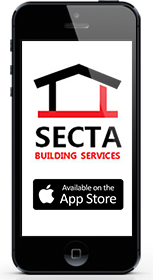 Secta has a team of highly skilled professional painters and decorators who will give a new lease of life to your property. Our handy man services offer everything from interior and exterior painting to tiling, plastering and glazing. Our team of experts will ensure they understand your requirements to ensure the job is completed to a high satisfactory level leaving our customers feeling their house is now a home. Call 0844 8787858 now to speak to one of our advisors! We are always happy to help!